This is how our second hatch prototype looks like so far. This one allows us to pivot and extend to reach the hatch quicker and more efficiently. 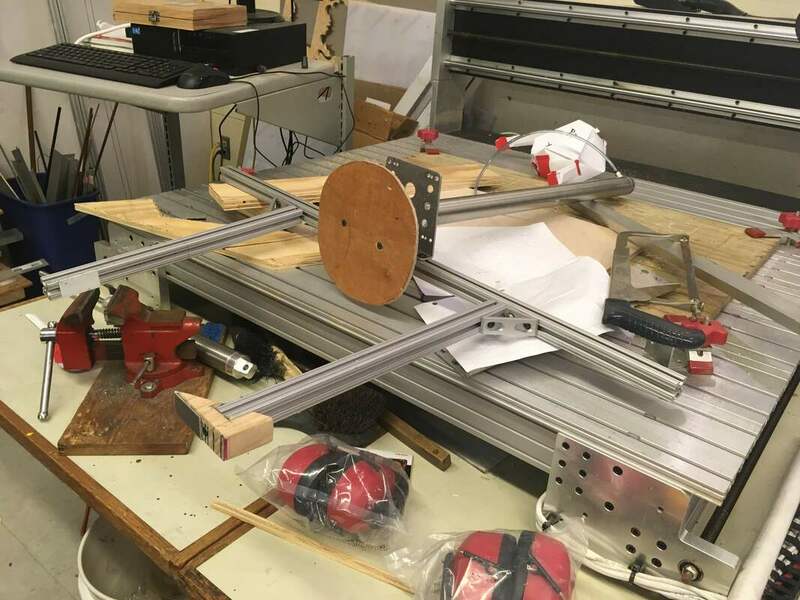 We started to build our 2019 robot for competitions. 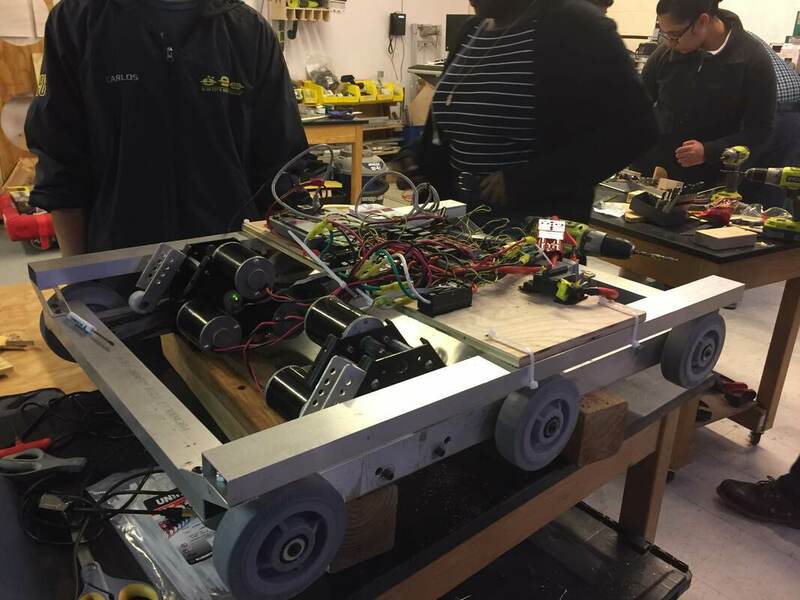 After assembling the gearboxes, we mounted them onto the chassis and put on the wheels. 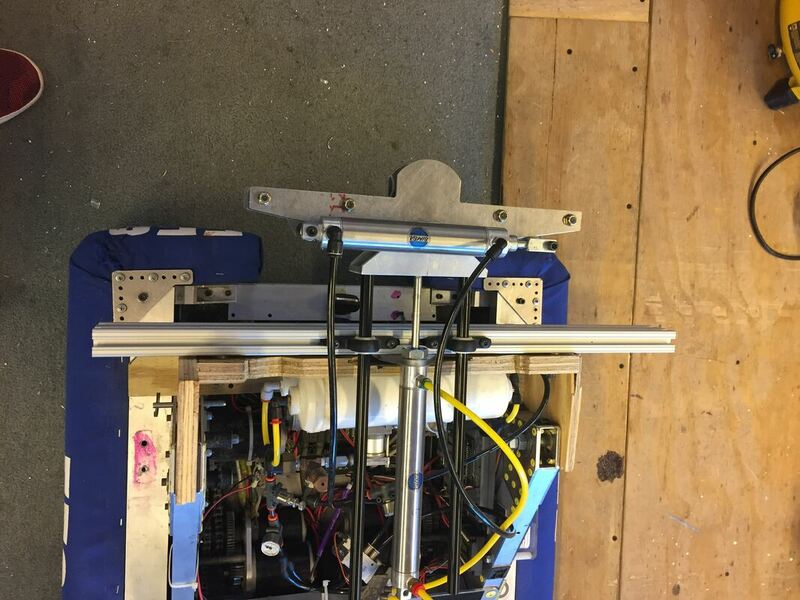 ​On our practice bot, we finished the elevator and we attached the cargo intake to it. Now, we have to attach our hatch intake to finish. 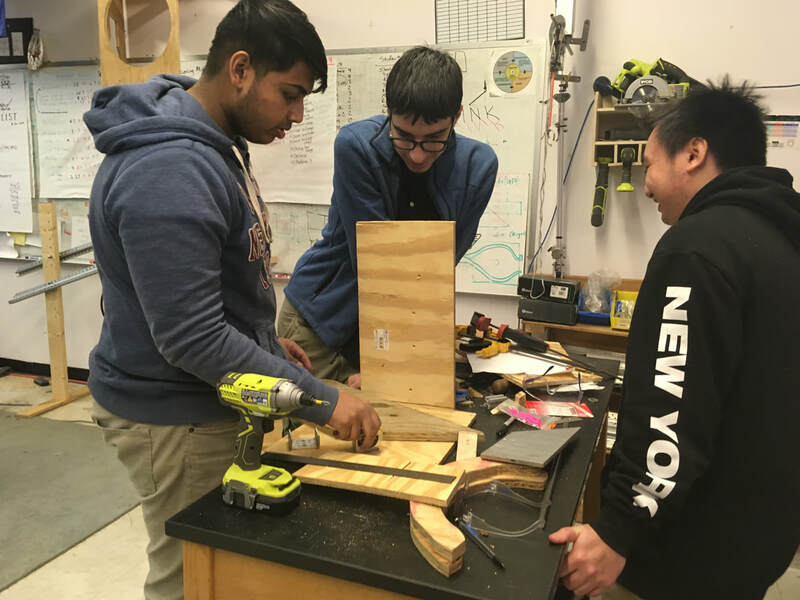 On Saturday, we welcomed FRC 7869 "The Fun Gang" into our shop and helped them build their robot. ​We submitted out Chairman's and Woodie Flower's awards! We demonstrated our robot at the New Haven Public School's Expo. 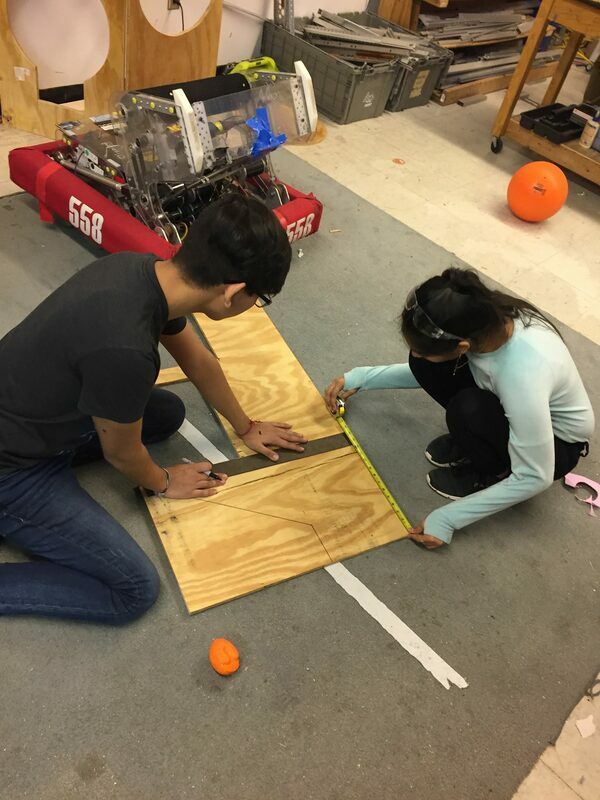 Here we taught kids about FIRST and let them drive our robot. After a few days, we finished building the frame that rises over six feet! ​"Quack-Quack", look at our duck prototype! Check out our vlogs to see how it works. 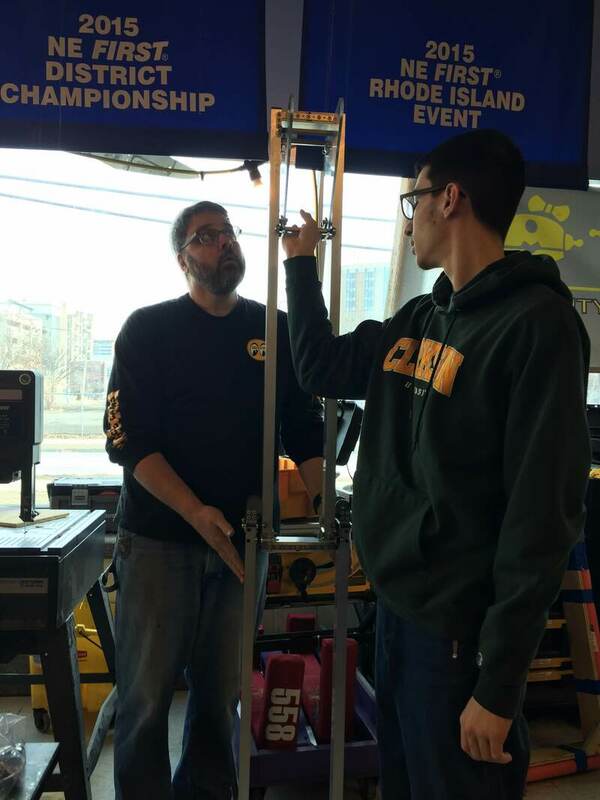 Will we end up using this one for our 2019 robot? Check out our vlogs to see how our climber prototype is working! 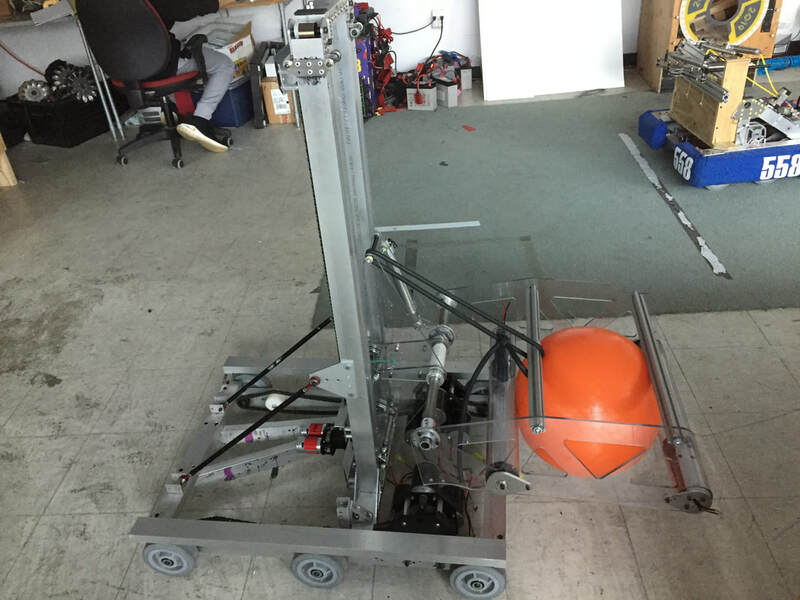 Bumpers on the practice bot! Currently, this is how our duck prototype looks like........ Stay tuned for vlogs showing how it works! 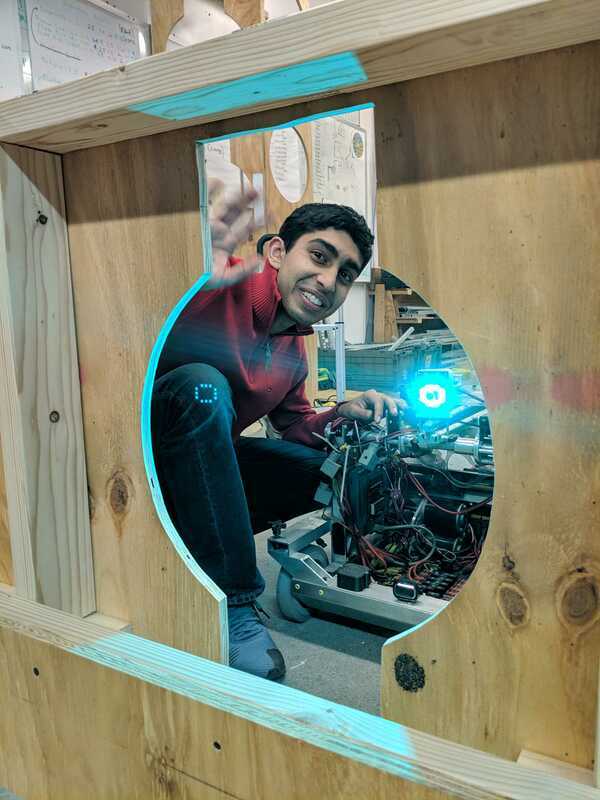 We finished our practice robot.... Now we can finally practice driving! We're working on prototypes and testing them out. 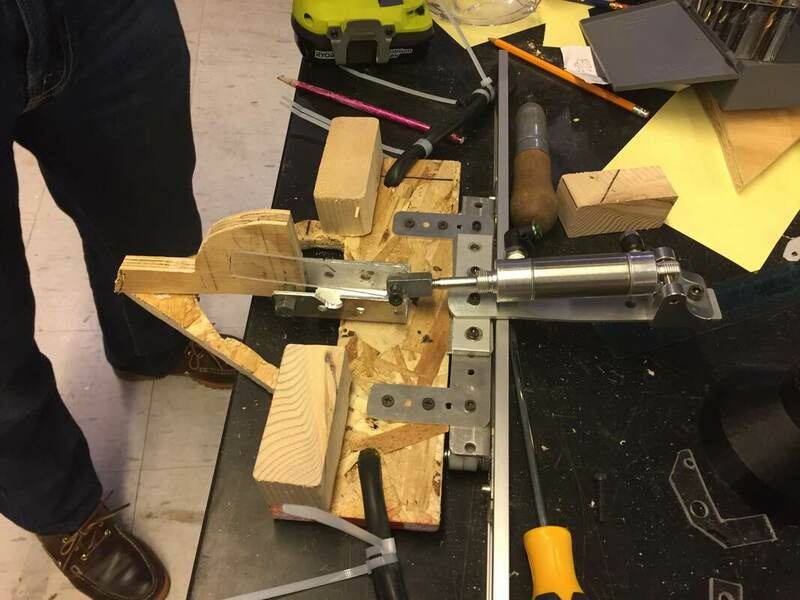 We also stated to design our competition bot. 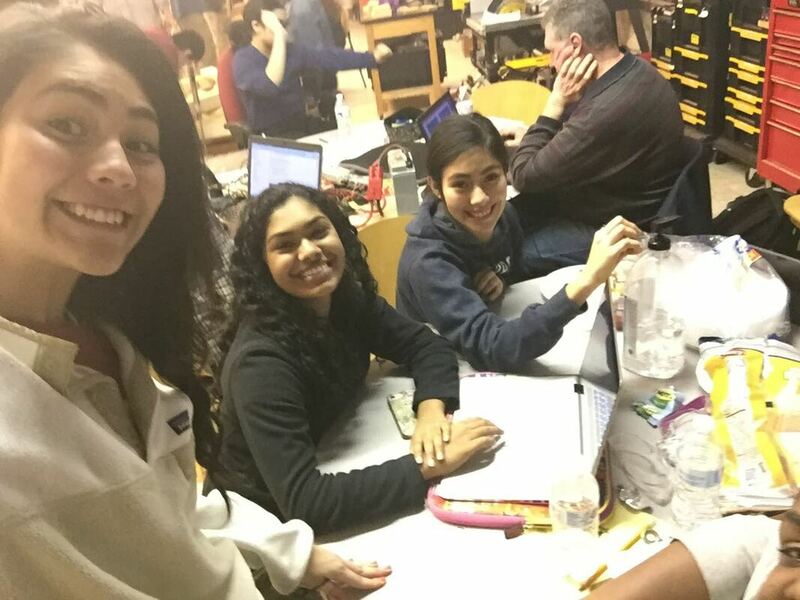 The students worked hard this week as they were taking their midterms and and still showed up to robotics everyday. So much has been happening this week. We started and developed new prototypes, we welcomed our sponsor, Avangrid, into our workshop, we strategized and planned for future competitions, and we even tried some ethnic dishes from our teamates! 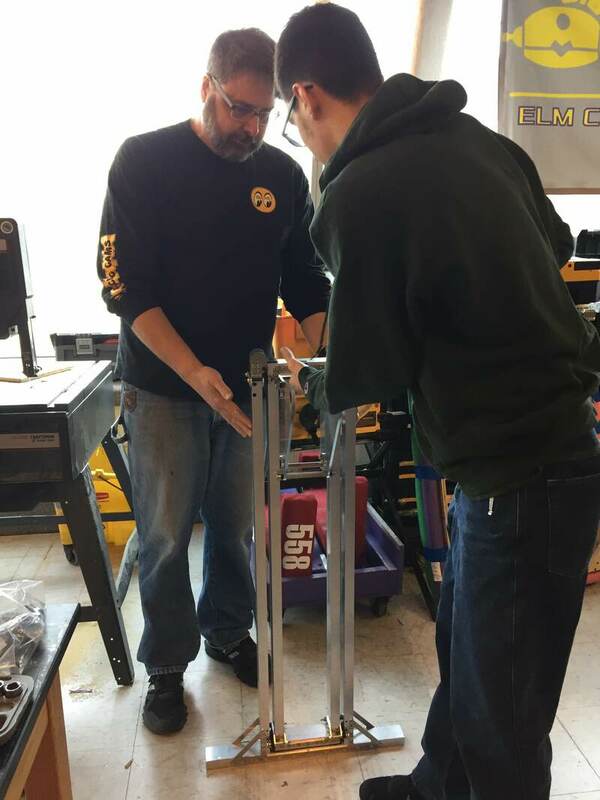 One of our sponsors, Avangrid, came into our shop on Wednesday, January 16, to talk to us and learn about what we do. We proudly showed them all of our prototypes, plans for future competitions, Chaiman's plans, and more! 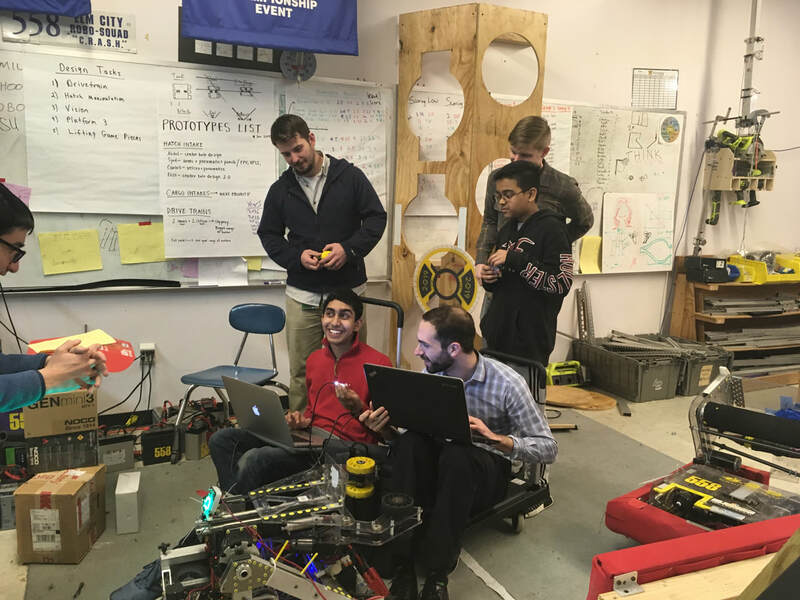 ​Throughout the season, we have many team meetings to discuss our progress. We are always open to new ideas and are willing to change our goals and prototype designs based on our progress and the game. ​Check out our climber prototype! It is called the "Tusk". Currently, we are working to make it go onto platform two and three. We post weekly vlogs in which you can take a further glance at our prototyping. Click the button below to watch our most recent video! ​And to keep us moving through the week...... Empanadas! ​Today we were playing around with the pixy camera and tried to make it work with the vision targets. We started designing and building prototypes for the cargo intake. Prototyping, prototyping, and even more prototyping.... We're starting our first week strong with a bunch of prototype designs. We're super excited to see how all of our designs work! We're testing out some pretty cool climbing and hatch intake prototypes!! Check out this pretty cool hatch intake model made by one of our freshmen! Can't wait to see how it will work! ​It's that time of the year......Time to start our Chairman's essay!! After months of waiting, we finally approached kickoff and the start of the 2019 season! We are all excited to start prototyping and planning for Deep Space! 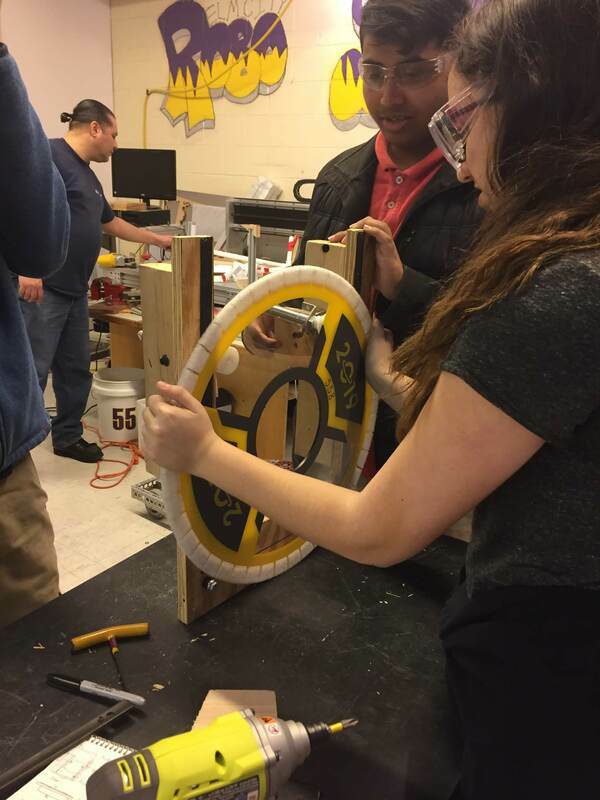 We wish all of the teams good luck and an exciting build season! Preparing to watch the 2019 game animation! 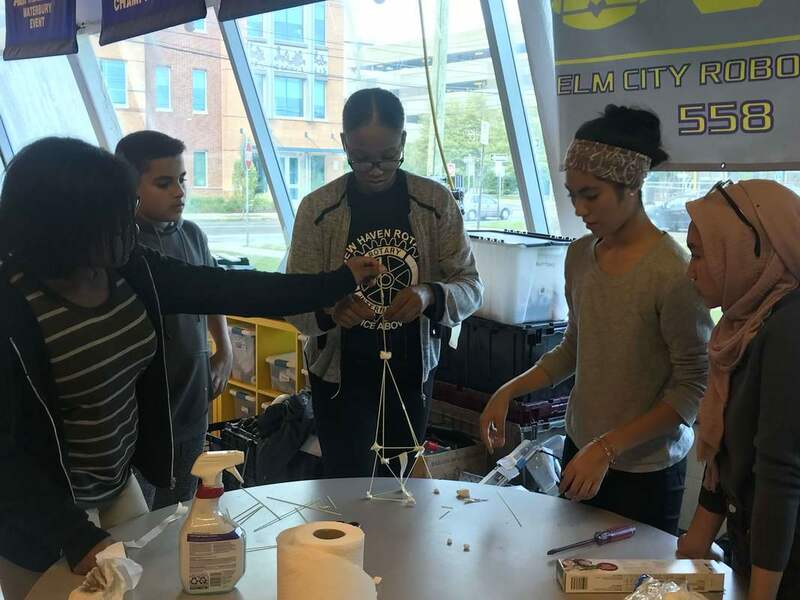 Who can build the tallest tower? 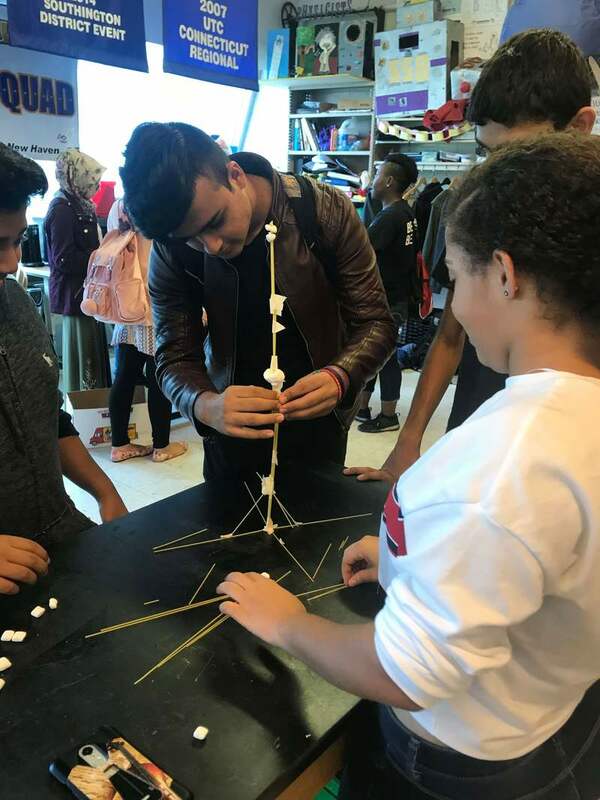 We all faced the challenge of competing with one another in small teams to build the tallest tower with just twenty-five spagetti strands, a piece of tape, string, and whole bunch of marshmallows!